Danica Patrick. Photo courtesy of NASCAR.com. I was nervous for Danica Patrick in the Daytona 500, at least at the beginning of the race. I wanted her to succeed. Sure, the former IndyCar star and current NASCAR Sprint Cup rookie candidate had become the first woman to qualify for a Sprint Cup pole position earlier in the week. But qualifying is one thing, and racing is quite another. Like the other drivers, all of them men, in NASCAR’S biggest race of the year, Patrick had the stress of guiding a speeding bullet of a stock car at 200 mph for 500 miles just inches from 42 other competitors, all while being uncomfortably belted in a steel cage. But Patrick had the added pressure of being a woman competing in a sport traditionally dominated by men. Millions of eyes were on her, watching to see how she’d do, and she knew it. It turns out I needn’t have been nervous for the petite female chauffeur. Patrick performed flawlessly. She was a contender all race long and was in third place going into the final lap. She didn’t wreck herself, and she didn’t wreck anyone else. And that’s a boast not all of the male drivers could make. Patrick also made some more history. She led twice for a total of five laps. Janet Guthrie was the first woman to lead laps in Cup racing; she led five laps under caution at Ontario in 1977. Patrick became the highest female finisher in the history of the Daytona 500 when she brought her Go Daddy-sponsored car home in eighth place. 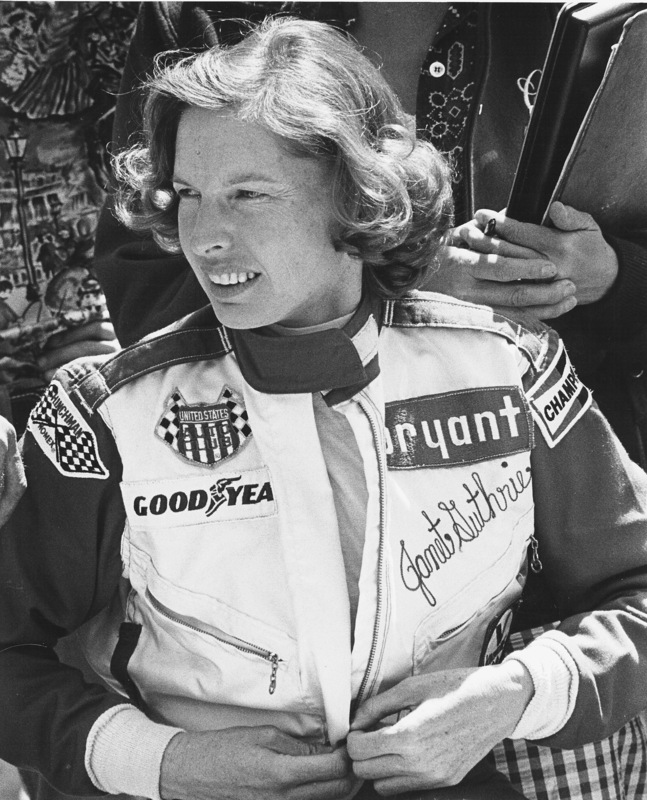 Janet Guthrie had the previous best finish for a woman in the race. That was 11th in 1980. Women’s racing pioneer Janet Guthrie had praise for Patrick. I have the privilege of knowing Janet, a native Iowan. I’ve written about her significant accomplishments in some national racing publications and was honored to be asked to write her profile for the program when she was inducted into the International Motorsports Hall of Fame in 2006. So I contacted Janet after the Daytona 500 checkered flag fell. “Danica did an excellent job today, making good use of her excellent equipment,” Janet said. Janet says there’s still another record of hers for Danica Patrick to break. “She has one to go: best Cup finish.” Janet’s top NASCAR finish was sixth place at Bristol in 1977. Copyright 2013 by Phil Roberts, Creative Enterprises. This piece submitted as a column to North Scott Press, Eldridge, Iowa. Tonight I’ll be emceeing the Speedway Fire-Rescue awards banquet in Davenport, Iowa. My wife Sherry and I have supported the Speedway volunteers for decades and are proud to be associate members. Every year the Speedway volunteers ask me to be their banquet emcee, and I am honored to do so. It’s the least I can do for these people who sacrifice their time and resources and risk their own well being to keep race drivers and others safe all year long. 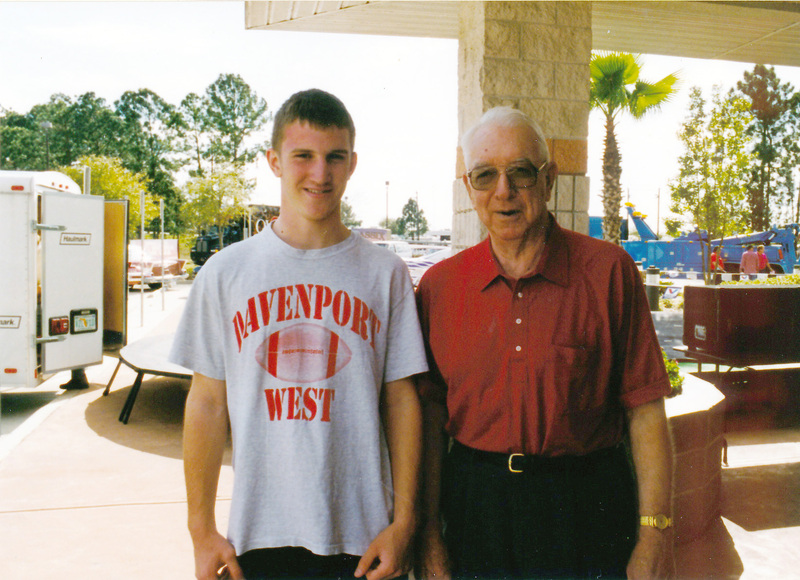 I understand that Quad-Cities racing legend Ernie Speth will be in attendance tonight. 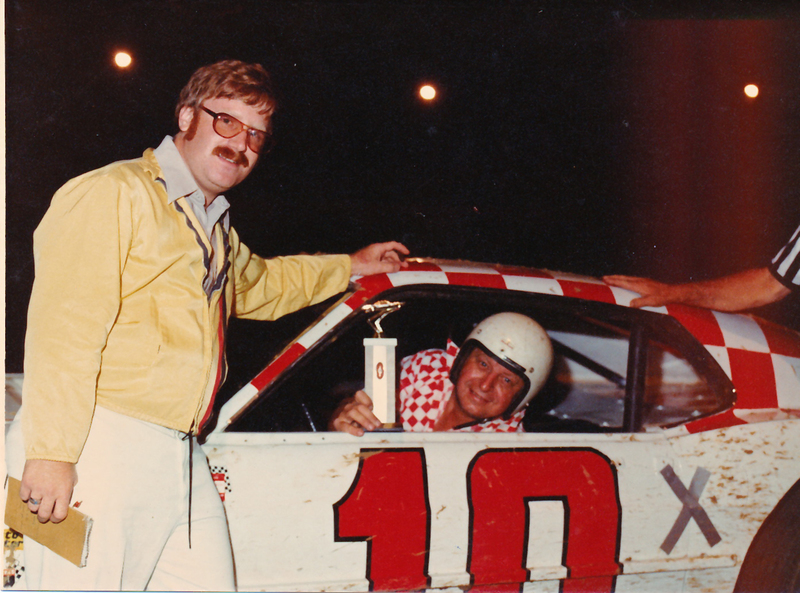 I want to share one of my favorite pictures (above) that shows Ernie and myself at Hawkeye Speedway near Blue Grass, Iowa, in 1979. I took the additional photos (also above) on May 8, 2010, at a surprise 80th birthday party that Ernie’s family and friends threw for him. 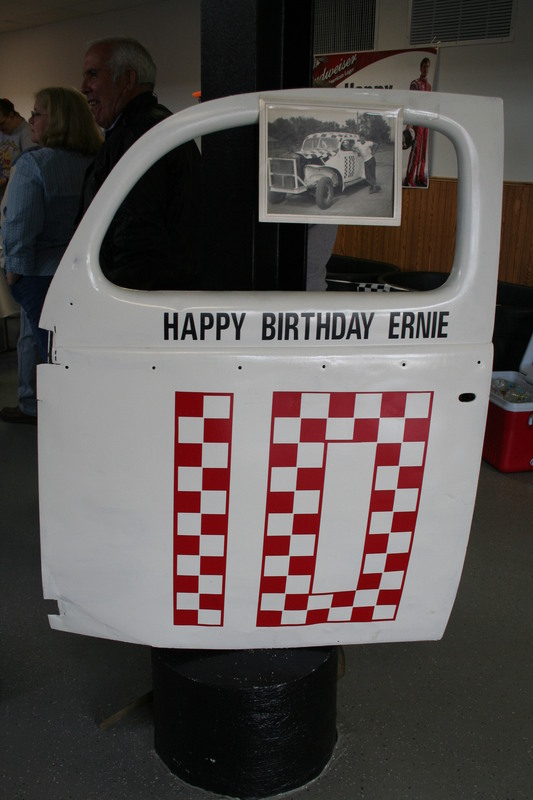 Following is a portion of an “On Track” column, one of two I wrote about Ernie and his pioneering racing days. 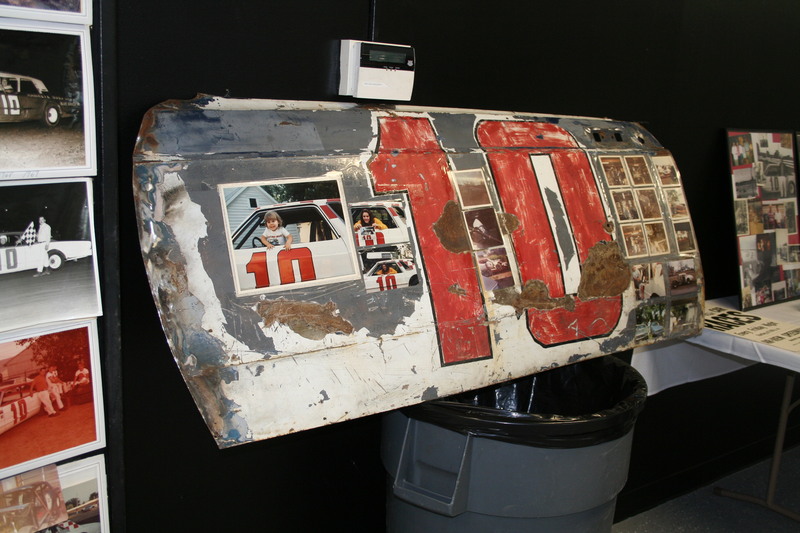 It appeared in a July 2004 issue of Quad-Cities Racing Connection. ~ Phil Roberts, Feb. 16, 2013. A later note from Phil: Sadly, because of health issues, Ernie was unable to attend the banquet mentioned above. 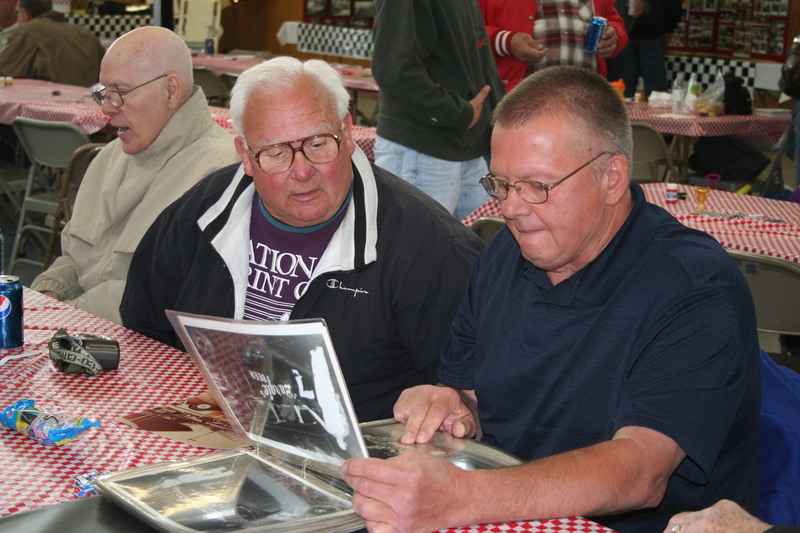 But some of his family were present to accept a plaque on his behalf for being a Quad-Cities stock car racing pioneer. A later note yet from Phil: Ernie died on March 5, 2013. I was honored to know him. Dane Roberts and Herb Thomas. Phil Roberts photo. 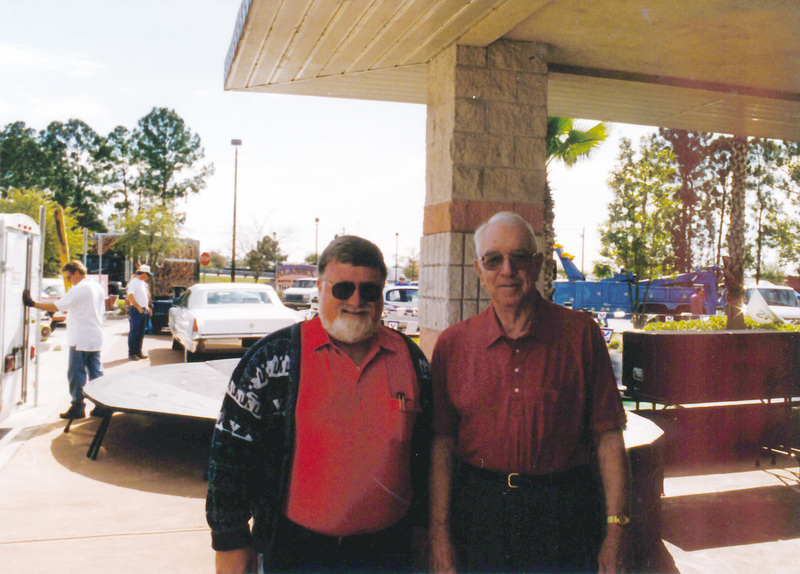 Phil Roberts and Herb Thomas. Dane Roberts photo. Herb Thomas. Photo courtesy of National Speed Sport News. Herb’s Hornet. Photo courtesy of Wikipedia. 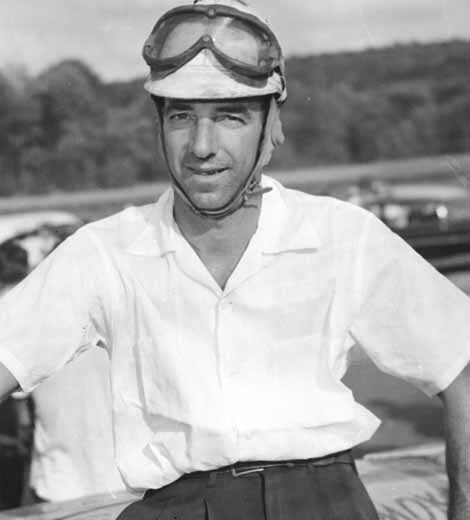 Thomas won 12 times in both 1953 and 1954 as he and Lee Petty swapped championships. 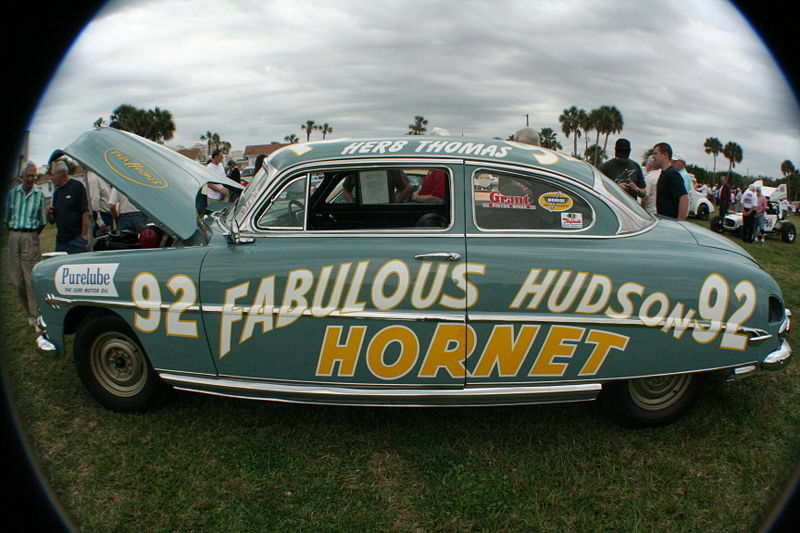 By 1955 Hudson’s factory presence was gone and Thomas switched to Chevrolets and Buicks. He crashed in May’s race at Charlotte Speedway, a 0.750-mile dirt track, suffering injuries that sidelined Thomas through most of the summer. Yet Thomas returned to win the Southern 500 for the third time and finished fifth in points despite missing 19 races.